It’s chaos in the streets in this latest puzzle, and while a gang of thieves haul away their cash from the bank vault, only a single perpetrator has truly committed one-armed robbery. In a sea of black-and-white stripes, bandanas, masks and swag-bags, a sole lawbreaker has one less limb to carry his stash to safety. 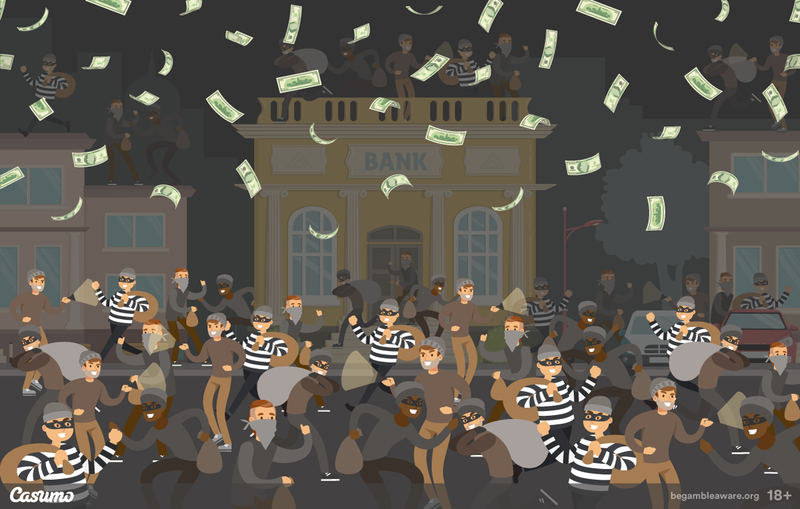 Can you spot the one-armed bandit in this bank-heist blowout?